David Simpson’s research and policy work has focused on the economic valuation of biodiversity and ecosystem services and the design of policy measures to conserve them. He has published dozens of scientific articles and book chapters on these and related topics. Simpson was a Coordinating Lead Author of the Millennium Ecosystem Assessment and serves on the Policy and Technical Experts Advisory Committee for the World Bank’s Wealth Accounting and the Valuation of Ecosystem Services (WAVES) project. 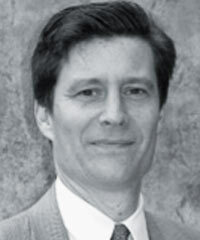 Before joining the EPA, Simpson was a Senior Fellow at Resources for the Future and held faculty appointments at University College London and Johns Hopkins University’s School of Advanced International Studies.